Allow me to introduce a journal entry I was required to complete in Grade 12 English. I begrudged many of our journal assignments, but did manage to enjoy the “Life is…” metaphor assignment. I even somewhat plagiarized myself in university when I had to write a similar life metaphor (which I’ll share later) because it had such simple truth. Looking back at it now, there is plenty of room for polish and those who know me will certainly know the spots I’d change were I to overhaul this completely. It’s on a single page in a notebook so it’s a first copy, likely done the night (or hour) before, as was often always my way then. But, last year I decided I’d sprinkle this blog with posts of old writing, so I’ll leave it as is. I started with Tom and Jerry at 8, waxed poetic in Grade 5, and even free versed in university – why not metaphorize in high school? Life is spaghetti sauce. Spaghetti sauce requires a lot of time and energy to have a good end result. The freshest tomatoes, spices, and vegetables need to be found; in life we look for the best experiences, best friends, best locations to make us happy. To make the sauce its finest. All the ingredients must be added progressively, just as great possessions and experiences are obtained over time in one’s life. 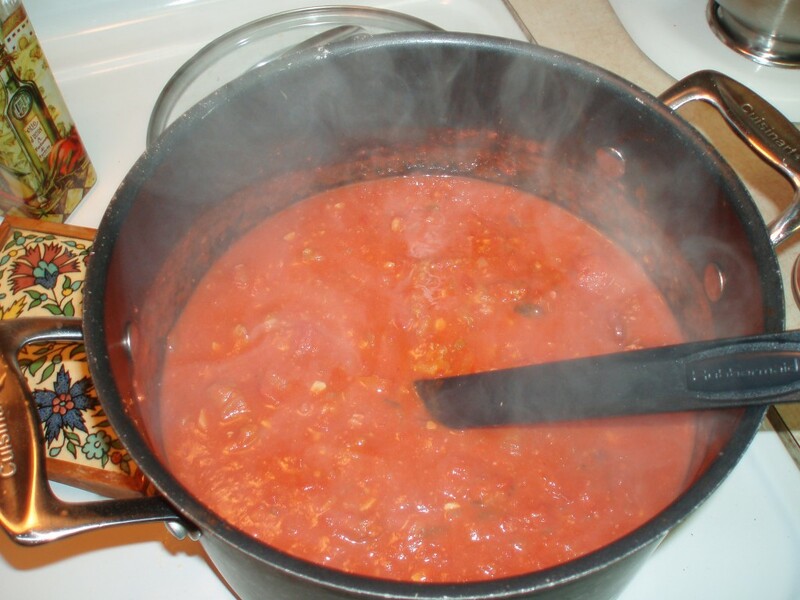 Once everything is added, the sauce must simmer for many hours. Life must be lived and enjoyed as you add a home, spouse, children, pets. Simmer your life and get all the flavour from it that you can. The time has come for taste-testing. Retirement and condos in Florida. Taste-testing and serving happens throughout life. The chef much choose carefully who he shares with and allows into his sauce. He can’t give it all away to one person but can’t hold himself back from everyone. The hardest part of life is the taste-testing and deciding what needs to be added to enrich the sauce, or life. Sometimes too much of one spice is added, or the sauce gets burned. Every now and then, something not chosen gets dumped into the sauce and sometimes it works out great. That is a risk one has to take to live his sauce to the fullest. WOW. That was a LOT harder to resist changing when typing as opposed to just reading. Like “great” and “best” over and over and over again. Yech. And yet, on some level, it’s still just lovely. Thanks Ms. L for all those 200-word mini tortures that dredged out a rough gem now and again.